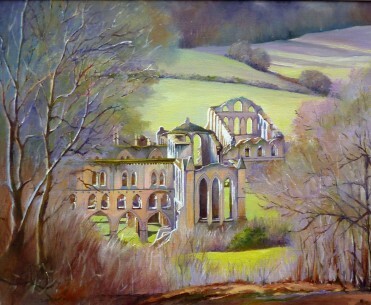 This year is the preparation for an exhibition for the National Trust with Paul Blackwell, Anne Thornhill and Peter Hicks. The exhibition is to be at Nunnington Hall near Helmsley in March/April 2018 and the working title is 'A Sense of Place', depicting National Trust Properties in the North East of England. The list is enormous, so we're already excited about portraying not only the great houses but also the wonderful landscapes. What an oportunity to sit in these beautiful places to do the preliminary work. And thank you National Trust for your super cafes where we go in order to sustain the artistic mood!